This camera is closely associated with what press photographers carried during the 1950s and 1960s, although I must admit that the Yashica is a bit of a knock-off; the Rolleiflex is the original sensation. The reason these were considered more professional had a lot to do with the lens specifications and the selective-focus feature, allowing for more artful and aesthetically pleasing compositions. This is a medium format camera – accepting 120mm medium format film – and makes 6×6 centimer square images. Most of the latter models were equipped with a three-element 80mm lens capable of opening up to f/2.8 – this is considerably “faster” glass than many contemporaneous camera models, allowing for faster exposures, effectively giving the photographer the power to ‘freeze’ moving objects on the film plane. Earlier camera models had darker glass and slower shutter speeds, so moving objects would render as a blurry jumbled mess. With the discovery of Vivian Maier‘s work and the release of her books, the often ignored TLR style camera has seen renewed interest. Prices for the Rolleiflex have risen significantly, leaping from as low as $150 to figures closer to $1,000. The Yashica (and the Rollei) are relatively easy to find, and because they aren’t as user friendly as your smart phone, I’m confident this fad will die down. When the fad dies down, so will the price. If you’re a camera freak like me, I suggest you keep your eyes peeled – get one of these as soon as possible. They’re cumbersome to work with compared to modern DSLRs, but they are reliable, sharp, and produce stunning negatives. Like any tool, a well-built camera is a joy to work with. And if you haven’t heard the name Vivian Maier, go and see John Maloof & Charlie Siskel’s documentary “Finding Vivian Maier” immediately. It’s blasphemous if you haven’t at least heard the name. This entry was posted in Vintage Camera Collection and tagged antique, camera, film, fuji, fujifilm, kodak, old, photographer, photography, press, press photographer, vintage, vintage camera. Bookmark the permalink. Since buying one of these at the end of last year I haven’t been able to stop shooting it, wonderfully simple design, well manufactured and makes beautiful images. Go after the simple Yashica TLRs. The very basic Yashica-A is a great bet. Generally more affordable and no built-in exposure meter or self timer – two things that often fail on these 50 plus year old cameras. 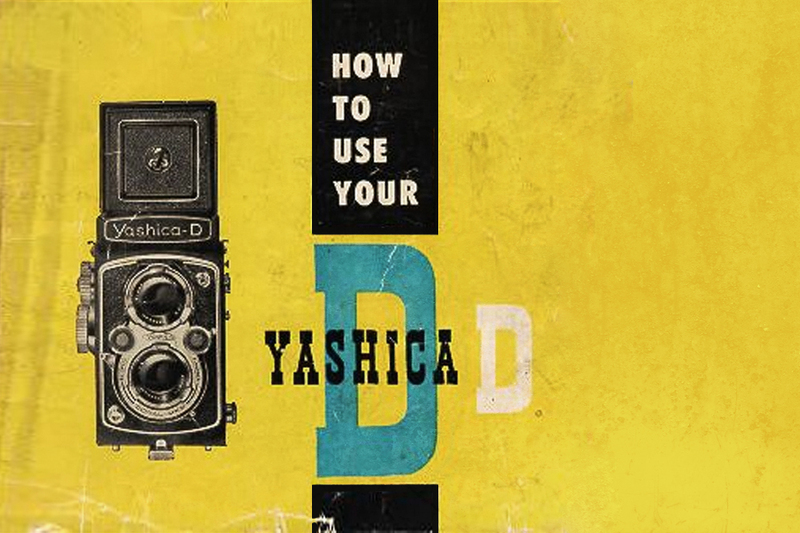 The Yashica-D is a good choice with easy to read shutter speed and aperture settings… the only drawback is the self timer. Mess with it and you risk trashing the shutter. Find a good clean A and you’ll be set to enjoy the stunning images that a 6x6cm format can produce for around $50.